The collection ‘Organic’ by MDD Office Furniture is high functional and beautifully crafted product. The company presents a huge variety of products for all industrial office interiors. ORGANIC cubic form filled with organic shapes. The new reception desk by MDD takes its design straight from nature to provide a bit of relaxation in today’s stressful world While creating Organic we listen to the best architect – nature itself. 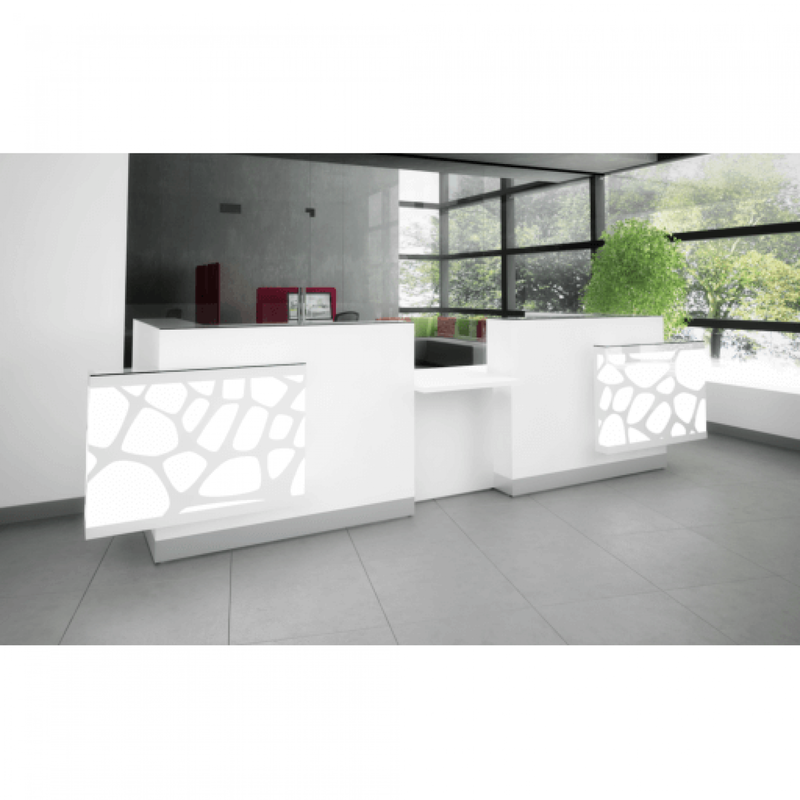 White color makes the reception desk look fresh and gives many possibilities of arranging the place allowing individual ideas of style: white is in harmony with every color. The natural design is emphasized by backlighting system of fluorescent light. The variety of products presented in this collection doesn’t leave anything to be desired. The collection ‘Organic’ by MDD Office Furniture is the best decision to be installed in any interior. The MDD manufacturere provide only generic assembly instructions for each of their collections. Not all parts shown in the assembly instructions come with each specific model. Most of the models require only a limited number of parts shown in the assembly instructions. A PDF version of an up-to-date version of the assembly instructions can be requested over the email.